Boddington had some confusing names for their beers. B, BB and CC. No idea what they stand for. The first two are Mild Ales, the last one a Strong Ale. Is it connected with the legendary C Ale, a type of Strong ale specific to Manchester? I’ve no clue, if I’m being honest. It would be nice to think that there is, but why would you go from two C’s to one? The implication would be that it was weaker. Because that’s how beer naming usually went. And that’s not normally the impression you’d want to give with a Strong Ale. 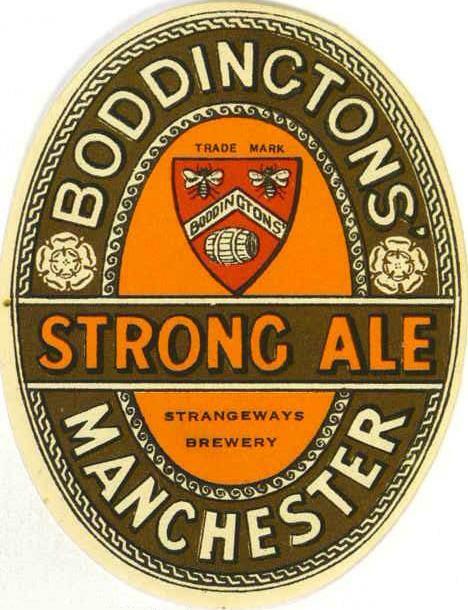 Boddington’s CC was brewed until WW II, but discontinued, never to return, in 1941. They did brew a Strong Ale after WW II, but that was simply called SA in the brew house. I think you can guess what the initials stood for. The recipe is classic 20th century English: pale malt, flaked maize, sugar and colouring. It strikes me that breweries, especially smaller ones like Boddington, tried to use as few types of malt as possible. In the run up to WW I, Boddington only used two: pale and black. The latter being used in tiny quantities and only in Stout. As you may have noticed, this beer is quite heavily hopped. To be honest, other than the Cluster, the varieties are a guess. All that’s listed is the name of the grower, not even the region where they were grown. Feel free to substitute them. While I’m mentioning guesses, the sugar is, too. The logs reveal nothing about the sugar type at all. It could be anything, but invert sugar is the most likely. As I’m pretty sure this beer was dark, No. 3 invert is the obvious choice. Hi Ron , C class ale was produced by a few different Manchester & Salford breweries ( Groves and Whitnall) with the beer being a deep copper colour and not overly bitter, more of a strong mild bitter beer; Sadly, the Groves and Whitnall records have not survived, pre WW2 : destroyed with the bombing of the brewery in the early 1940's, not sure what happened to the post 1942 stuff !! !